We’d love your help. Let us know what’s wrong with this preview of The Betrayal of India by Elias Davidsson. To ask other readers questions about The Betrayal of India, please sign up. How to download? Plz Inform me about the epub or pdf ebook downloading link. how i download this book ? 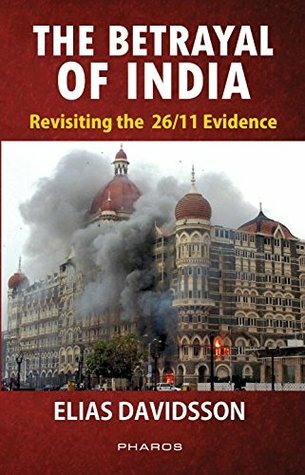 This is one of the best books related with Mumbai Attacks and India's real face, I knew that before this was a inside job and our media need to cover this now, shame that our media is not completing its responsibilities. Mumbai attack was a false flag operation by India. Detailed evaluation/ investigation of events leading to Mumbai attacks and explaining the real beneficiaries of these attacks (hidden from public eye).It also very elaborately exposes the pre-conceived notion of Indian selected class for blaming Pakistan for the attacks.